DIVE IN CUBA... Professional divers, who practice it occasionally, and those who have never been encouraged and want to take the first steps in the world of diving, will find in Cuba a great place to unleash this exciting activity. 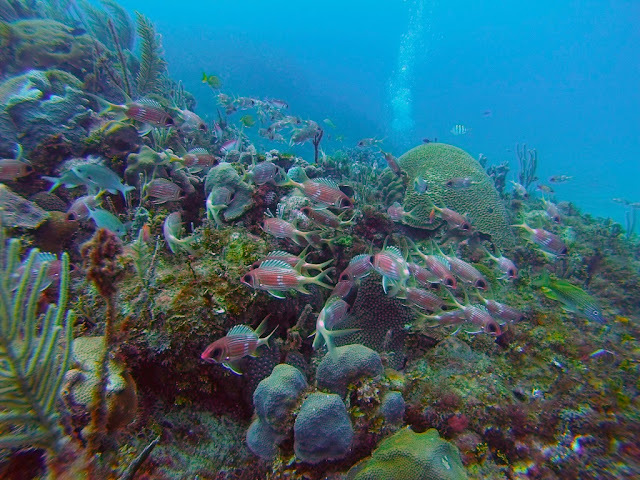 With beautiful seabed, coral reefs that enchant even the least sensitive viewer and an impressive diversity Cuba Blue Diving offers them a complete experience that do not offer many sites in the world. Puerto Escondido, is a beautiful beach located in the rural part of the province of Havana. Its beautiful white sands are cradled on one side by the cliffs, which rise dozens of meters and lodge a lush flora, and on the other side by the warm and crystalline ocean. The sea is the main attraction, with clear and shallow waters, full of marine life. There are coral beds, underwater grottos and tropical fish. Puerto Escondido occupies a prominent place in the list of professional and amateur divers. Anyway, if marine life does not go into the plans, there are many other adventures available. You can rent a rowboat, learn to sail or enjoy paragliding, sailing or kayaking. Other activities are horseback riding, hiking and renting a bicycle to explore this beautiful area. Day trips are fast and easy. In fact you can travel to the sister beaches of Puerto Escondido, Jibacoa, El Fraile, El Abra and Boca de Jaruco. If you want obtain some diving packages, suggest or any other topic, please contact us. 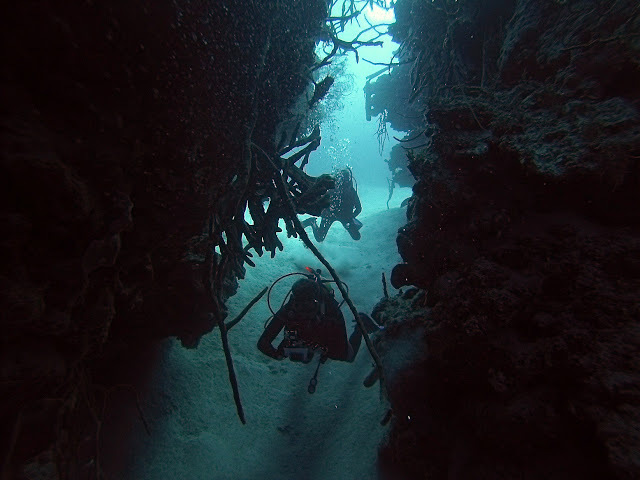 Also, you can obtain our diving package, just click here, for more details. Hola Cuba Blue Diving...espero poder bucear de nuevo con uds...fue una experiencia muy hermosa....me encantó!! Gracias a todo el equipo!! Saludos desde México! Playa Giron is a small beach on the eastern bank of the Bay of Pigs, in the southern center of Cuba, which today is a tourist center.Located in one of the largest wetlands in the world, Ciénaga de Zapata, passed into history in 1961, when it was chosen as one of the landing points for the Bay of Pigs invasion. This beach is located in the south central region of Cuba, on the eastern shore of the Bay of Pigs, within the Zapata Swamp, one of the most important wetlands in the world.Some of the nearby spas in this bay are Playa Maceo and Playa Larga. Almost 210 kilometers separates Playa Girón from Havana, a trip that takes place in the northwest direction.Regarding another important city of Cuba, Matanzas, separates about 150 kilometers by road.To the north it borders the forests of Cayo Ramona, to the east with those of Guasasa, to the south with the Sea Carbie, and to the west with the coast of the Bay. This beach got its name because of the levels of salt concentrations on its waters, which is probably higher than other beaches in Cuba, due to the natural coastline conditions on the area. Located west of Havana city in an area called Baracoa, it is a small and very popular beach among the local residents during the summer. 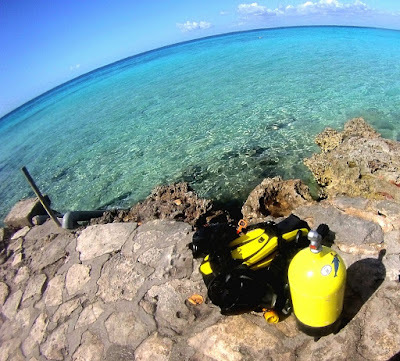 Punta Perdiz is an international dive center, where you can practice that nautical mode from the coast. This site has a great beauty and abundance of species of corals, gorgonians, sponges and schools of multicolored tropical fish. It is located on the southern coast of the province of Matanzas, in the Ciénaga de Zapata, between Playa Larga and Playa Girón. At 172 kilometers from Havana, 115 kilometers from the resort of Varadero, and 85 kilometers from the southern city of Cienfuegos, all significant points of the Cuban geography.Diving or snorkeling is practiced, with nearby fish cenote, or underwater caves to explore.